As there is no default workspace for these tasks, you will need to create a custom workspace for yourself—see the Fundamentals Guide. 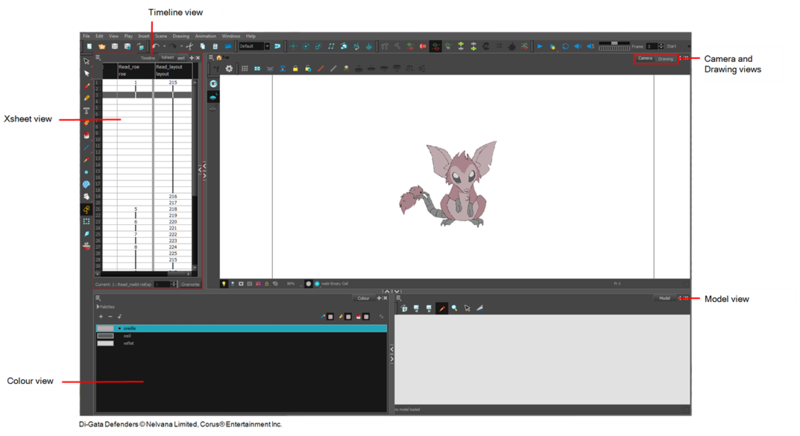 You may have a character or element palette that has colours that are very similar to the Drawing and Camera view's background colour. For example, a white eyeball colour on a white background which makes it difficult to know if the zone was painted. 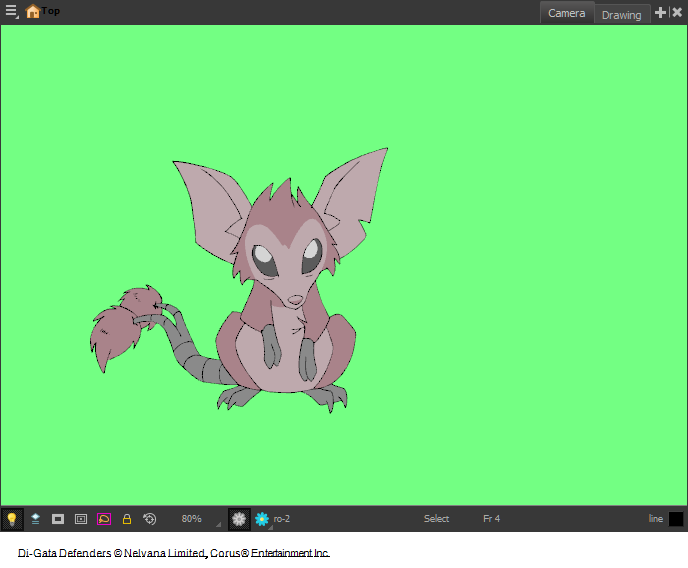 You can change the background colour of the Camera or Drawing view in the Preferences dialog box. ‣ From the top menu, select Edit > Preferences. ‣ Mac OS X: Select Stage Paint > Preferences. 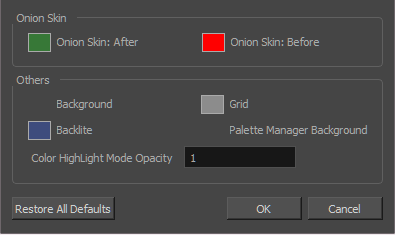 In the Colours section, click Edit Colours. In the Others section, click the Background colour swatch. The Select Colours dialog box opens. 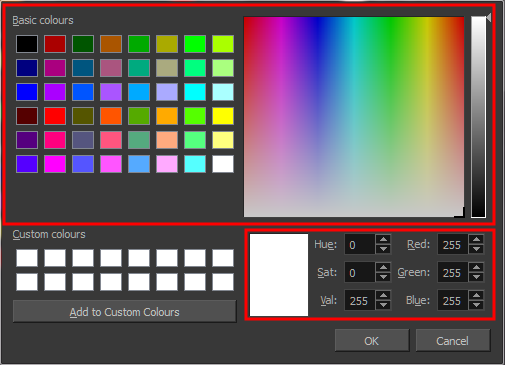 Select a colour by clicking a colour swatch, clicking a colour in the colour gradient, or entering a HSV/RGB Value. Click OK in the three opened dialog boxes to apply your changes. When you need to paint drawings with similar colours throughout the palette, you can create a clone of that palette and change all the colours to very bright tints to facilitate the paint process—see Cloning a Colour Palette .